Mona Flying Club. RAF Mona Anglesey. Croeso i / Welcome to Clwb Hedfan Mona Flying Club! If you’re interested in learning to fly, Mona Flying Club is the ideal place to do it. We have always taken pride in our relaxed, friendly atmosphere, and the high quality of our teaching. Piloting an aircraft is a unique experience. If you want to try it for yourself, why not take one of our trial flights? We also have trial flight vouchers if you are looking for a very special present for someone. There are more details on the trial flights page. If you’ve already decided that you want to learn to fly, you’ll need to complete one of the courses available, either a UK pilots licence (NPPL)or the new EASA licence,(European licence) The course is made up of various flying and examination requirements. however if you have your licence and are looking to gain your Night Rating or IR, please get in touch. 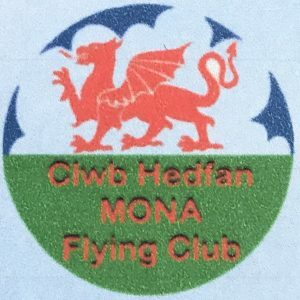 Mona Flying Club is located half way between Bangor and Holyhead on the Isle of Anglesey under the shadow of the beautiful Snowdonia mountains.